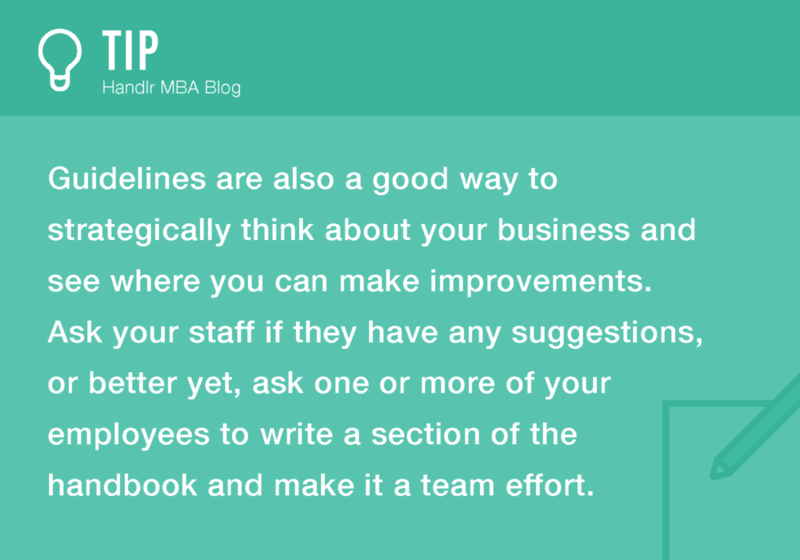 Guidelines are crucial to maintaining consistency and excellence in your business. McDonald’s and every other franchise of the world have detailed guidelines and protocols in place to ensure that services are performed the same way, every time. Employee Handbooks and Business Guidelines (even if it’s just for yourself) are important to make sure that your business can run without you and that quality is guaranteed every time. Guidelines are there to set the company’s tone that you see perfect for your business. It explains the core mission/standards of your business and covers all aspects of your business you can dream of, going beyond the protocols. From team member benefits, team member work behavior, or the specific conditions of what constitutes an absence, tardy, write-up, citation, or termination. It’s a great resource/reference to have for you and your team in uncertain situations. Read the E-Myth and the 4-Hour Work Week to change your life as a business owner. Gerber offers insightful strategies and tactics to conquer having your dream business. He walks you through the cycle of a business, from, “entrepreneurial infancy, through adolescent growing pains, to the mature entrepreneurial perspective” (Amazon). The E-Myth is considered mandatory reading from us for anyone looking to start a small business. From an entrepreneur himself, Timothy Ferriss shares a common problem all entrepreneur encounters. The work overload and no life balance what so ever. He introduces a new acronym, (also the names of the chapters): DEAL (Definition, Elimination, Automation, and Liberation). It’s so easy to get caught up on the hamster wheel and before you know it, running a business means working day in and out endlessly. Read the 4-hour workweek and seek the balance you want in your live/work life. If you already have your guidelines in place, be sure to revisit them and update/edit any changes once in awhile. Owning a business is a constant learning process and as you grow, your guidelines should become more detailed and fine-tuned as your business changes.